I am not a fan of commercial hand sanitizers. (Probably doesn’t surprise anyone!) 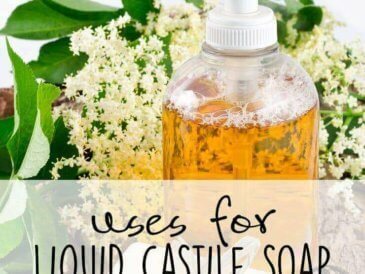 This may sound strange but I don’t use antibacterial soap or strong cleaners at home because I actually believe having a little bacteria around is a good thing. 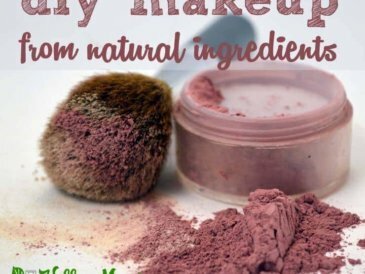 I’m glad that I started making my own personal care products years ago, especially since the FDA ruled in 2016 that manufacturers should stop using triclosan, a common ingredient in antibacterial soaps and sanitizers at the time, due to its ability to disrupt hormones and contribution to a rise in resistant strains of bacteria. Just goes to show it pays to read the research! Why Put Down the Hand Sanitizer? 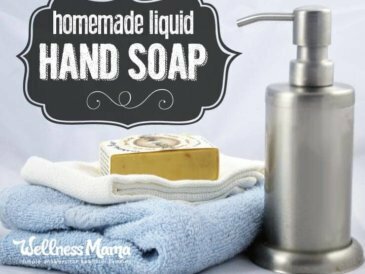 My home isn’t a hospital (thanks to generally strong immune systems) so I take a gentler approach and make this homemade hand sanitizer to use only when we can’t wash our hands or are concerned about exposure to really bad bacteria. I can see the appeal of killing “99.9% of germs” when you have a family of small children, and illness for one usually means illness for all. Still, it’s helpful to understand some reasons why the antibacterial label popping up on all kinds of soaps, wipes, and cleaners might not be the solution it seems to be. Reason #1: Using hand sanitizer to keep the flu away? It won’t work! Antibacterial soaps kill bacteria but not viruses. Hand sanitizers and soaps don’t do a thing for the viruses many people use them to prevent. Reason #2: It may be true that antibacterial products kill 99.9% of germs, but that .1% is the most potentially harmful (since it can resist antibacterial agents). This small percentage that survives then breeds and passes on its antibiotic resistance to its offspring, creating lines of “super bugs” that resist antibiotic use. This may be one factor in the dramatic increase in strains like MRSA. Reason #3: Triclosan, the chemical in most antibacterial soaps has been shown to interact with chlorine in the water to form chloroform gas. On top of that, it has been shown to be a hormone disruptor, especially in children. I’m glad it’s been phased out from so many products, but I’m skeptical it solves the issue. Reason #4: Some evidence shows that kids who grow up in an overly sterile environment have higher rates of allergies and asthma than kids who don’t use antibacterial products as much. Exposure to different types of bacteria, especially early in life, helps kids’ immune systems to develop. Give Bacteria a Little Respect! My strategy when it comes to keeping the nasty bacteria at bay is to make sure my kids’ immune systems are strong by feeding them a real food diet with plenty of fermented veggies and drinks (good bacteria) and restricting sugar. We also prioritize good old fashioned play time outside, where they can get vitamin D from the sun and healthy bacteria from the soil microbiome. 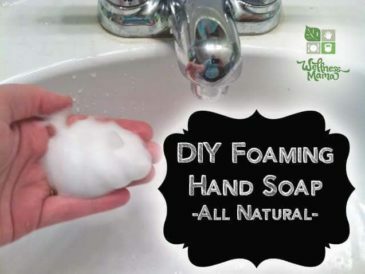 I use handmade bar soaps or homemade foaming hand soap for all of our hand washing needs, and we made it through another flu season with no cases of the flu. Coincidence? Maybe, but I don’t see the need to use harsh chemicals to sanitize my house daily. We don’t use even our natural hand sanitizer very often and opt for simple hand washing whenever possible. I do keep a little bottle of homemade hand sanitizer by the sink though to ensure safety after handling meat or changing a diaper, etc. Besides stinking to high heaven, commercial sanitizers often contain drying alcohol that is too strong for kids to use anyway. The nice thing about making my own is I can make a more gentle version for use around the kids and a stronger one to use in a place like a public restroom. 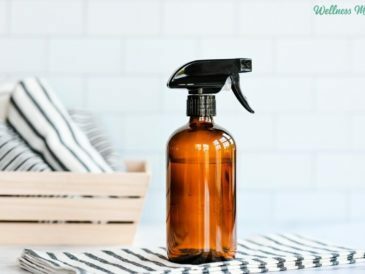 Instead of triclosan or other antibacterial agents, I use essential oils that inhibit bacteria naturally, being careful to choose ones that are safe for kids. This herbal hand sanitizer gel doesn’t dry the skin and is actually nourishing because of the aloe vera. It’s also so simple that your children can help you make it. It can even be made in the container you plan to use so you don’t have to get a bowl dirty. Mix all ingredients and store in a reusable silicone tube (like this one). 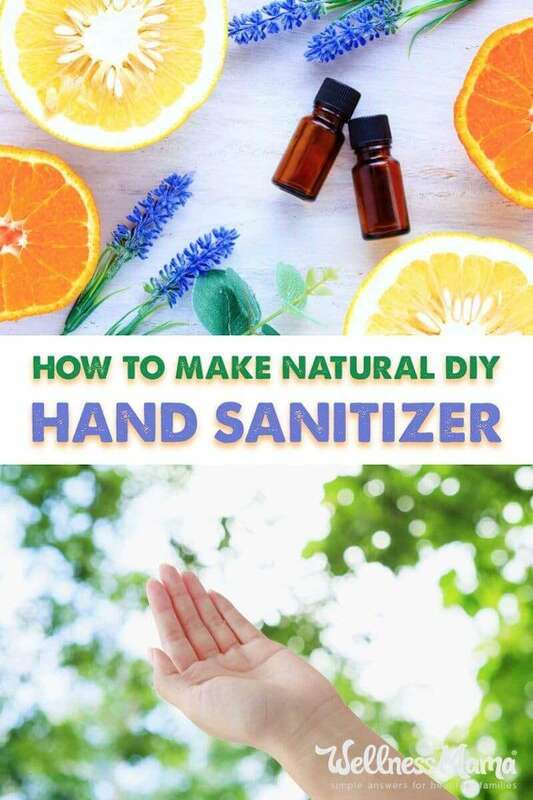 Use as needed to naturally remove germs from hands. 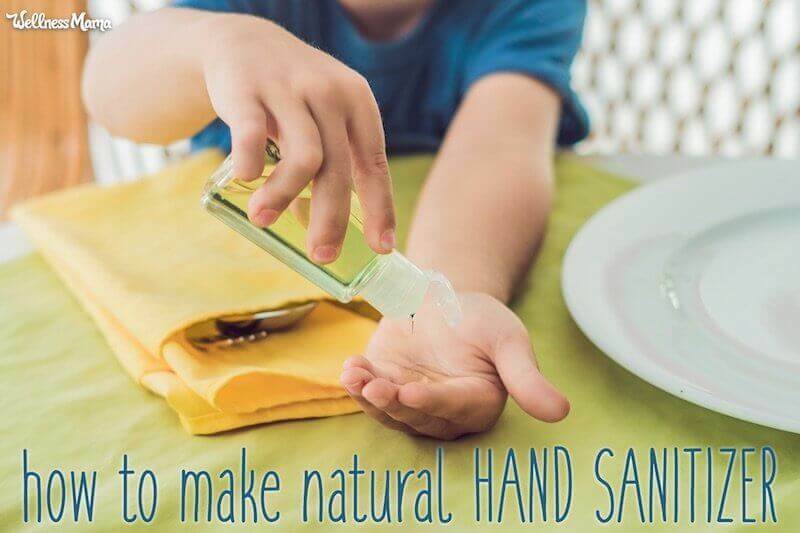 For a stronger hand sanitizer that performs like commercial versions (without the triclosan), try this recipe. If you work in a hospital, this might be a good one for your personal use. I would not use this recipe on kids! 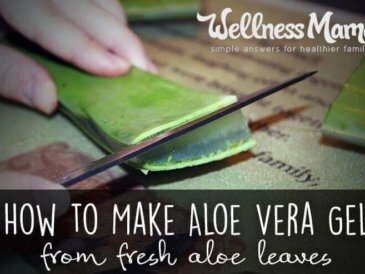 To make, mix aloe vera gel, optional glycerin, and rubbing alcohol in a small bowl. Add cinnamon essential oil and tea tree oil along with a drop or two of any other oils you want to add for scent. Lemongrass, orange, lavender, and peppermint are good choices. Mix well and add distilled water (or colloidal/ionic silver) to thin to desired consistency. Use a small funnel or medicine dropper to transfer hand sanitizer into spray or pump type bottles. Use as you would any other type of hand sanitizer. Always check with a doctor or healthcare provider before using essential oils, especially on children or if you have a medical condition. Using fresh aloe vera gel isn’t as stable for counter storage; a commercial brand is recommended. If you like this recipe, also try my DIY disinfecting wipes for kitchen counters or bathrooms. Ever made your own hand sanitizer? How did it turn out?